Highlight: Patent Application on LED Magnifying Lamp---Use 3 LED Lenses to improve the light distribution, gathering all light to the area under magnifier, no dark area, no glaring. 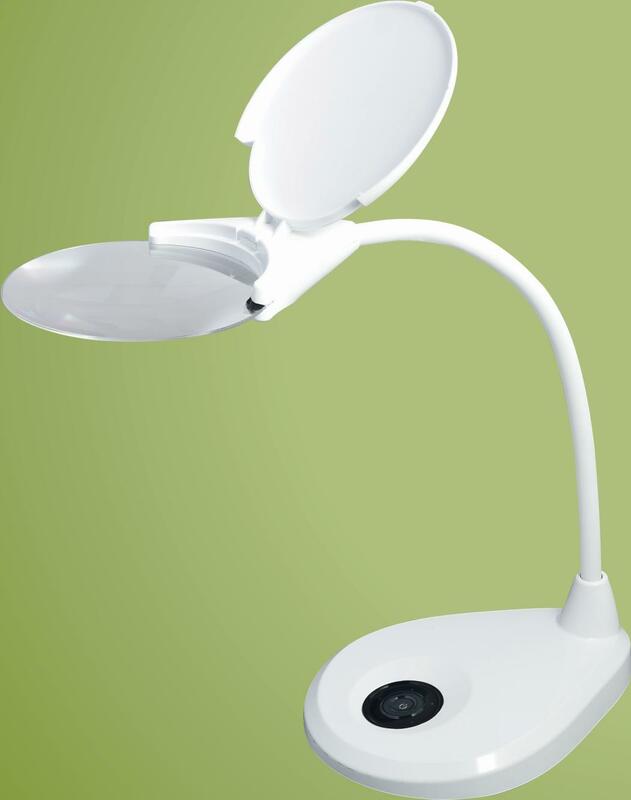 The Function of Portable & Rechargeable LED Magnifying Lamp1.The LED Magnifying Lamp is portable: can be used wherever you want, no limited of power cord, easy use. 2.The LED Magnifying Lamp is rechargeable: with rechargeable Lithium Cell, can be used without outer power supply, avoiding the inconvenience of power failure, can work 1 hour without outer power supply, can be recharged directly with adapter when power insufficiency. 3.4-Level Dimmer: the LED light can be regulated according to your requirements, more convenient and comfortable.